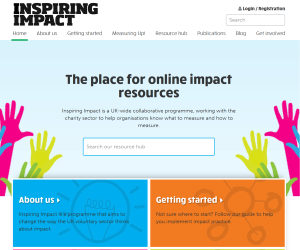 The Inspiring Impact programme to offer charities online support, events and flexible grants to spend on understanding and improving their impact has been awarded £600k of Big Lottery Funding. Today, 21 August 2018, the Inspiring Impact programme has been awarded £600k of National Lottery funding through the Big Lottery Fund, the largest funder of community activity in the UK. The programme will be delivered by New Philanthropy Capital, NCVO Charities Evaluation Service, Social Value UK, Evaluation Support Scotland, Community Evaluation Northern Ireland and Wales Council for Voluntary Action to continue supporting charities and funders across the United Kingdom to improve their impact practice. The funding continues the Inspiring Impact programme, which has been running since 2012 and has so far supported over 50,000 charities with over £1m funding, and brings it together with the Impact Management Programme, running since 2016. Existing funding of £15k from the City Bridge Trust will also support the programme through 2018-19. Designed by and for charities and social enterprises, the support available is responsive and relevant to organisations trying to improve their work with limited resources. Organisations like Cornwall Rural Community Association, the Royal Society of Edinburgh, Circle and the Macrobert Arts Centre and Sported NI, have benefitted from the programme’s support and are shaping its future. A website that brings together the best free resources from across the sector, including the Data Diagnostic, a 5-minute questionnaire that provides tailored recommendations about what data to collect. Over 100,000 people have used the website already. Networks that bring people together to share what works and learn from each other. The voluntary sector looks different in England, Scotland, Northern Ireland and Wales so local partners will adapt their activities to local demand.